OLX Group is one of the leading internationally classified business with more than 5000 employees and presence in more than 40 countries. 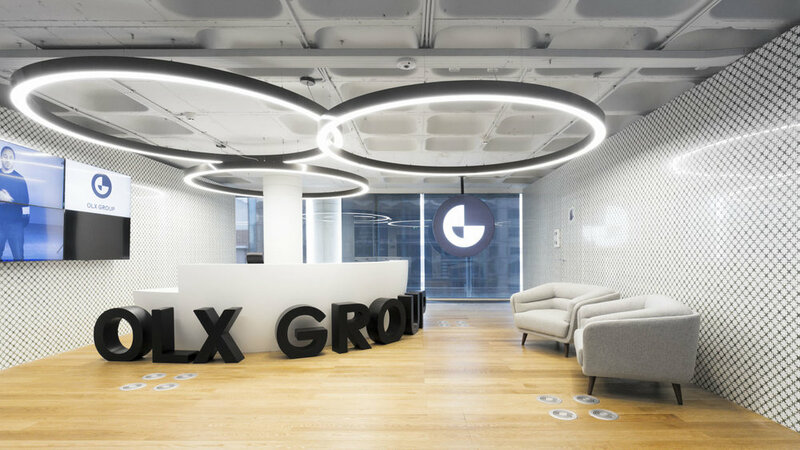 With a project by Pedra Silva Arquitectos studio, the new Lisbon office of the OLX Group expresses the company's activity through an inspiring, functional and colorful environment that encourages interaction between employees. Vector Mais has developed all the construction work, engineering and carpentry. More about the creative process here. “We wanted this office to be the face of Lisbon, the face of Portugal, hence the materials that we have chosen are allusive to the country like the burel fabric or the typically Portuguese tiles. The colors were chosen based on the sea, the sky, the sun and our green fields.” Sara Cunha Rodrigues, Facility Manager, OLX Group. “We wanted the project to reflect the colourful and charming city of Lisbon and at the same time meet the challenges of informality and flexibility in contemporary offices, as well as solving more technical issues such as acoustics.” Pedra Silva Arquitectos.